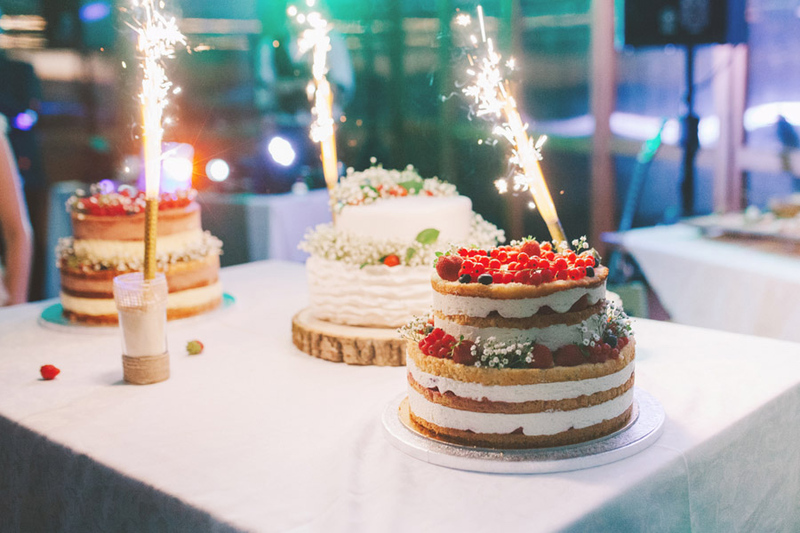 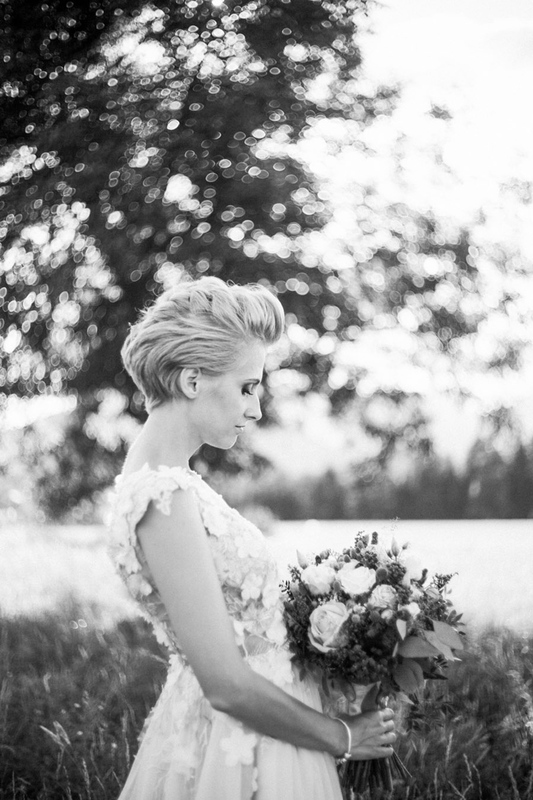 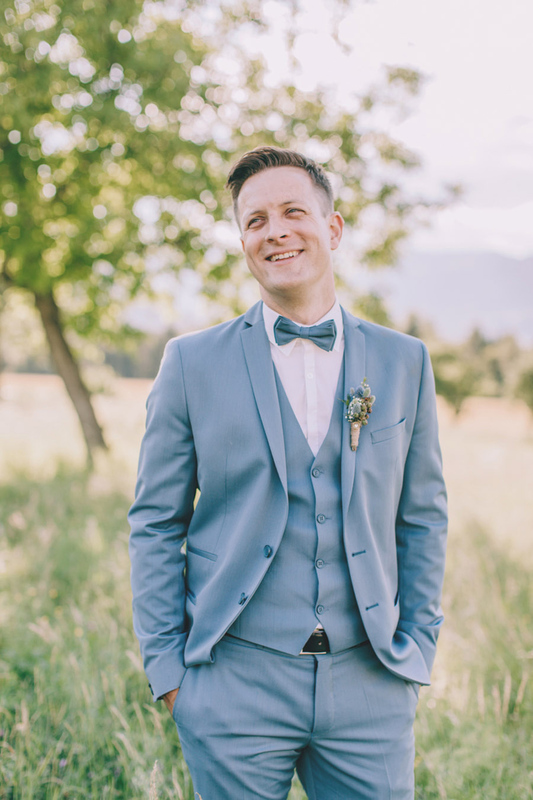 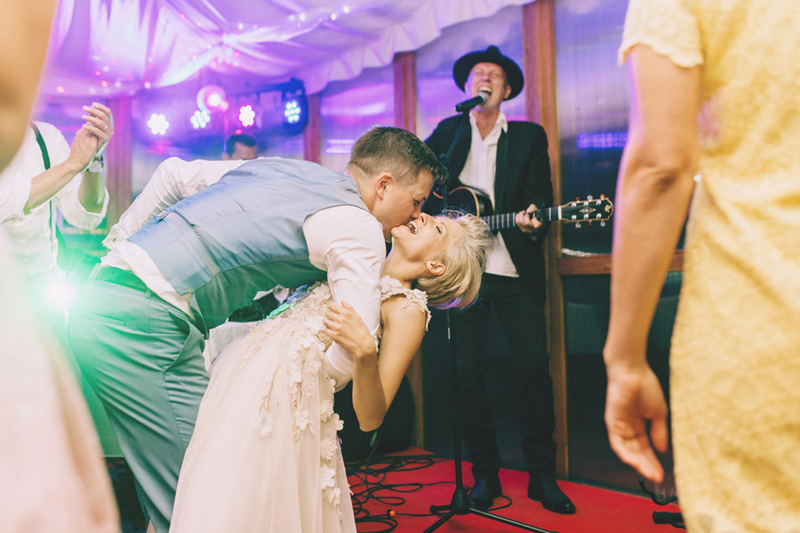 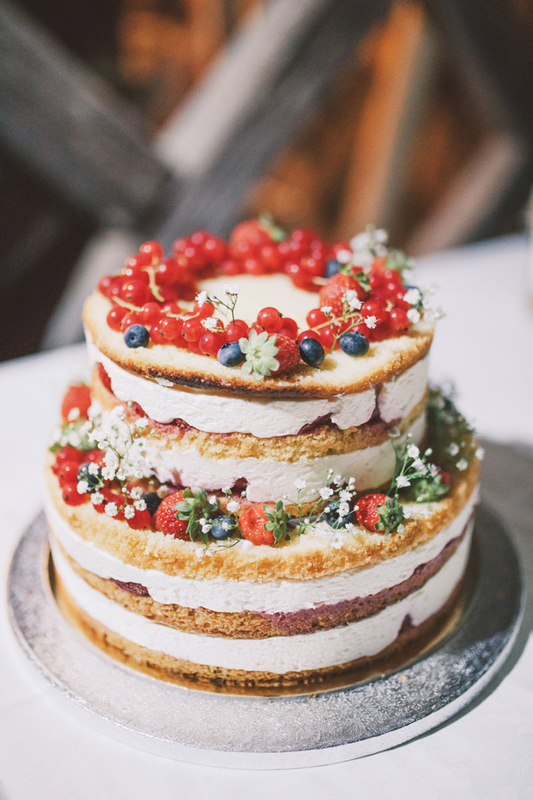 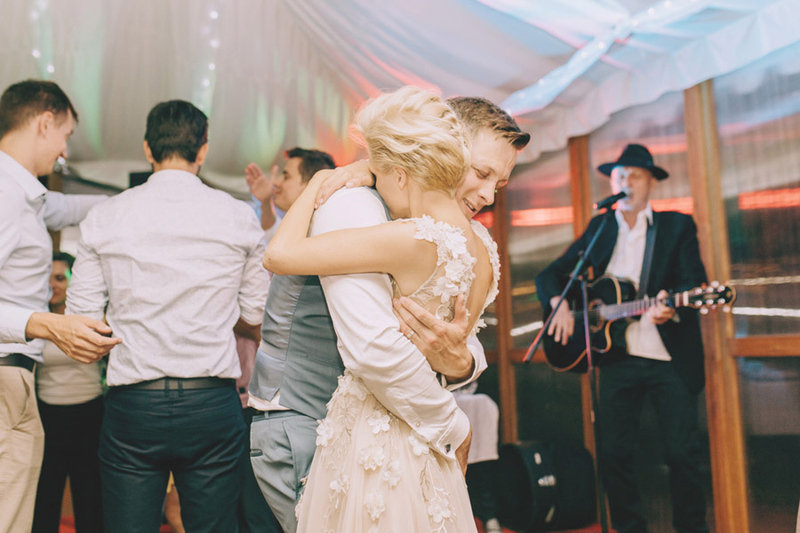 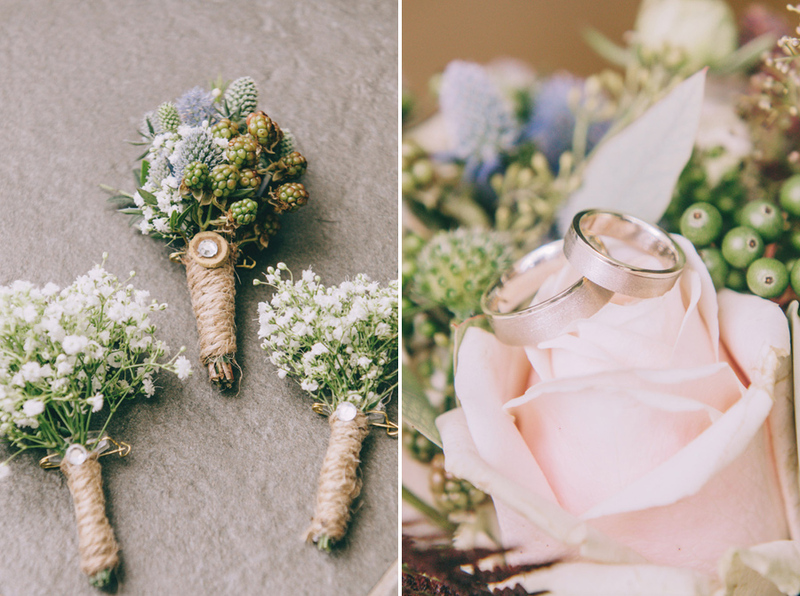 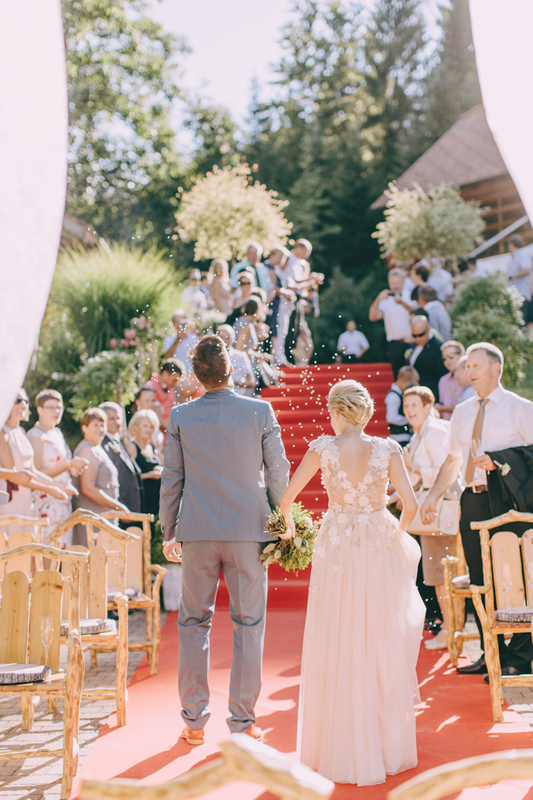 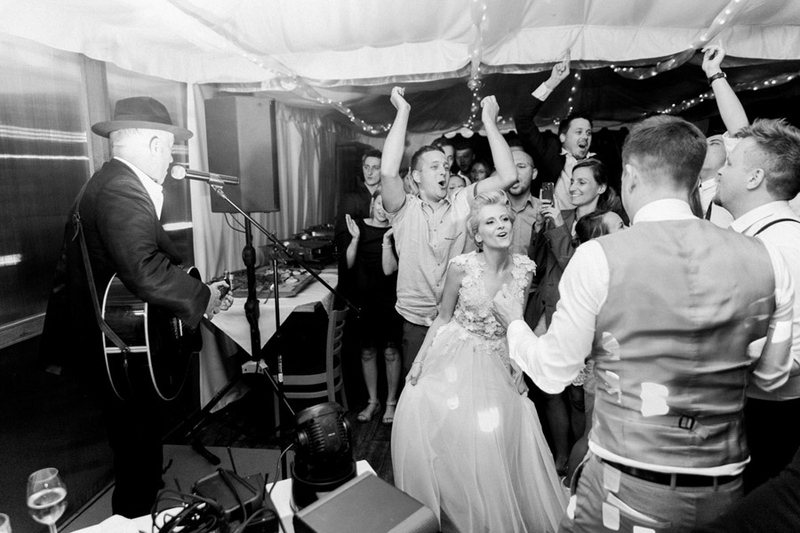 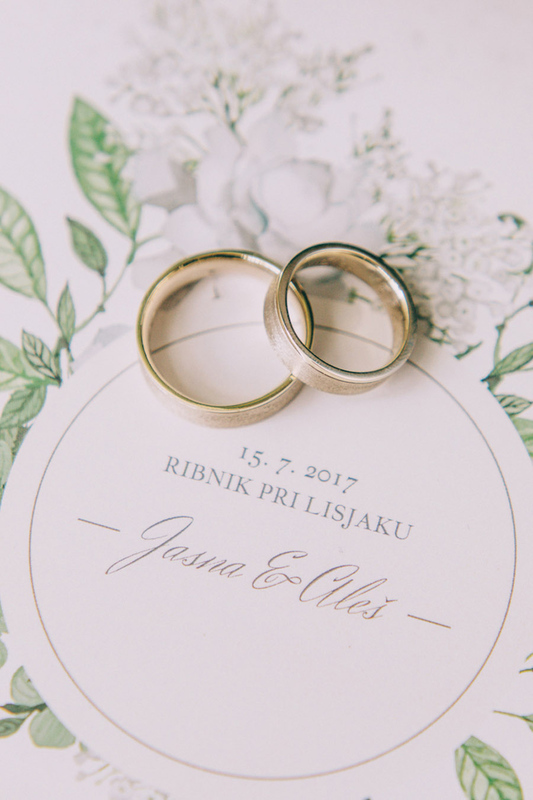 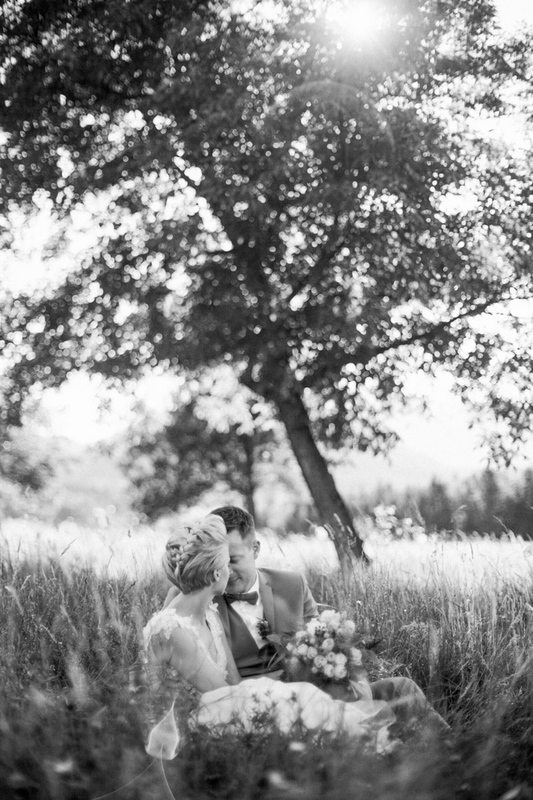 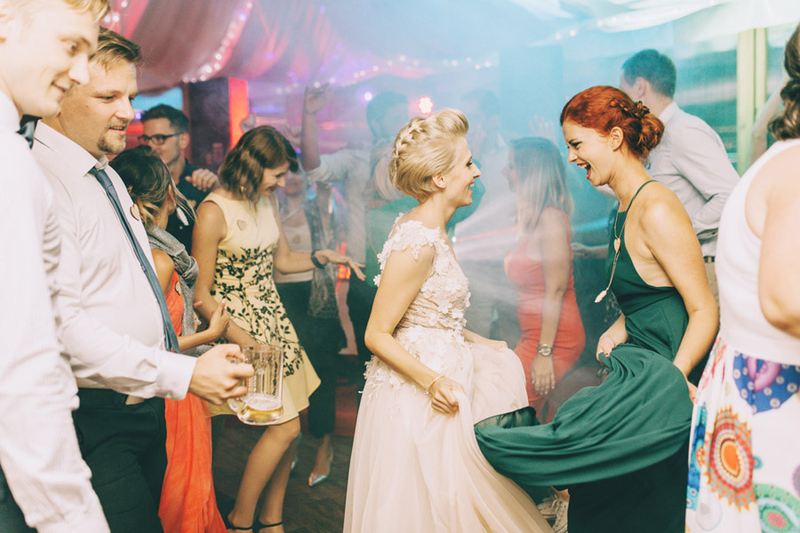 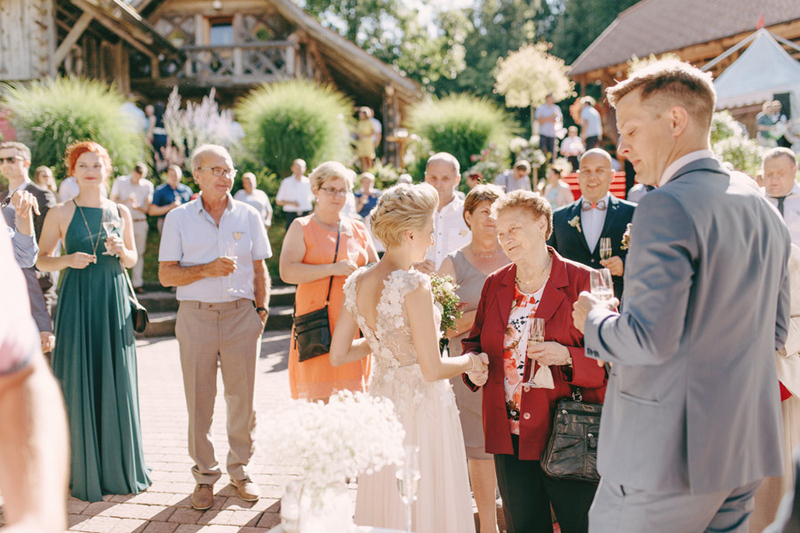 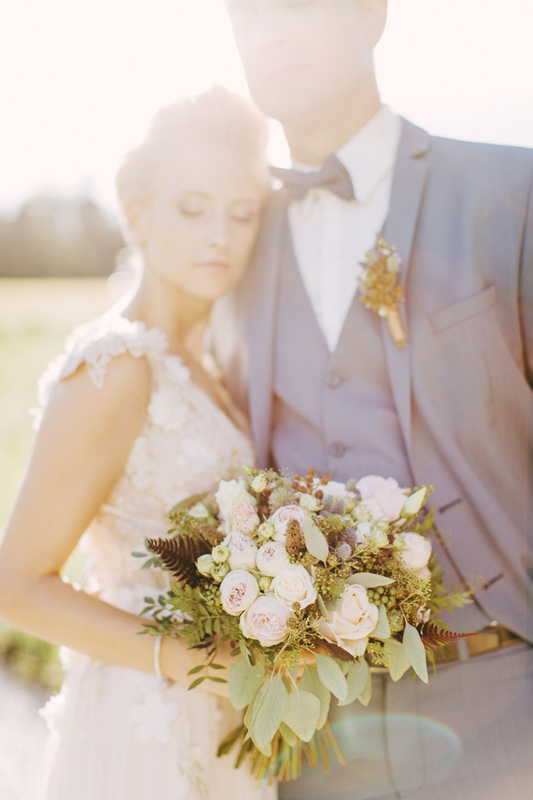 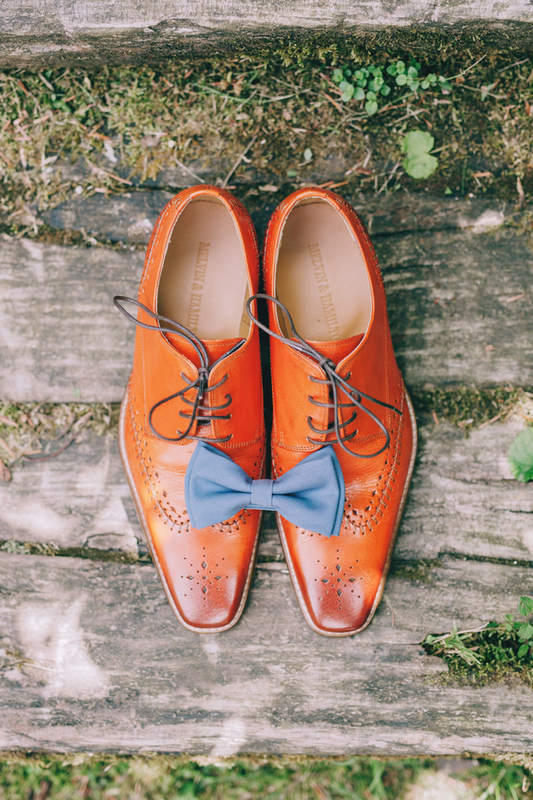 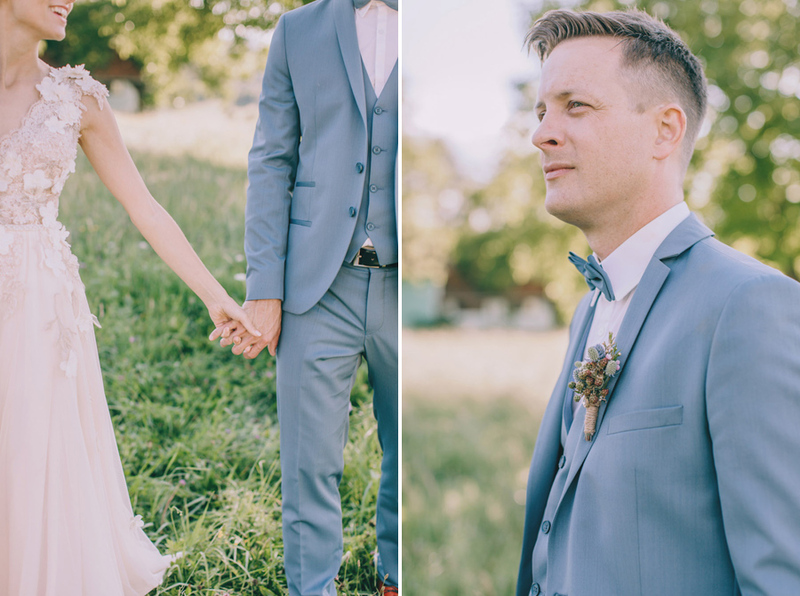 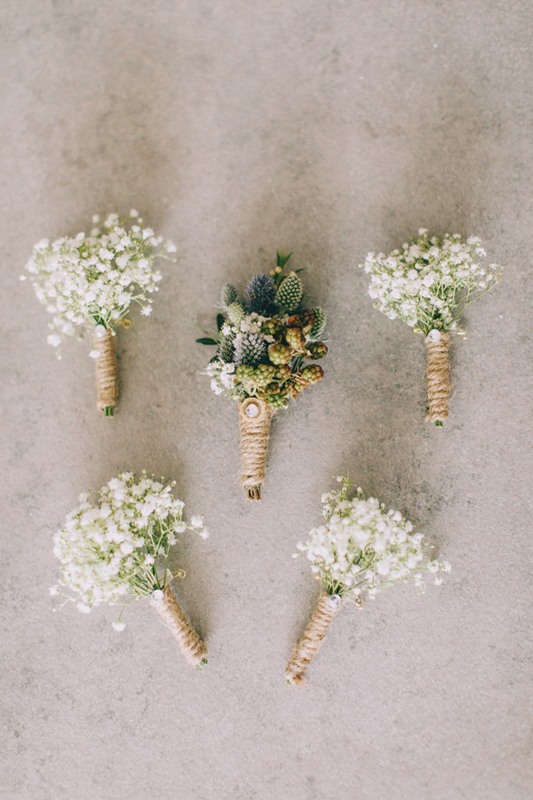 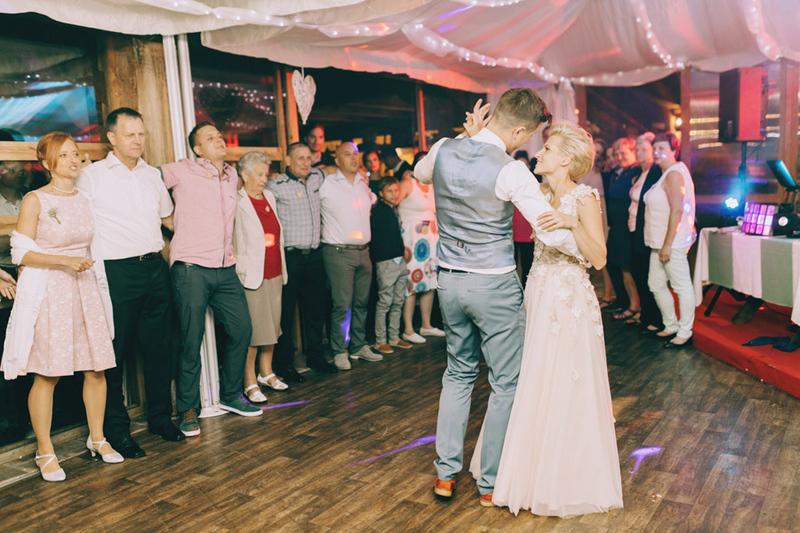 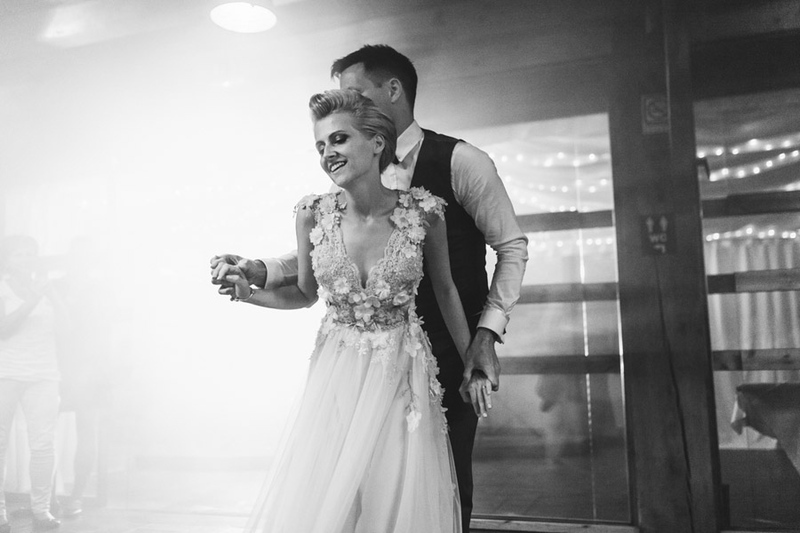 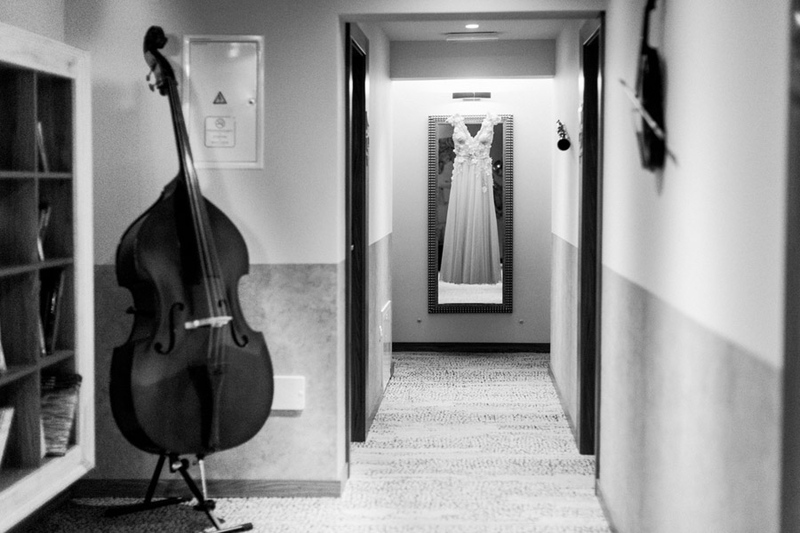 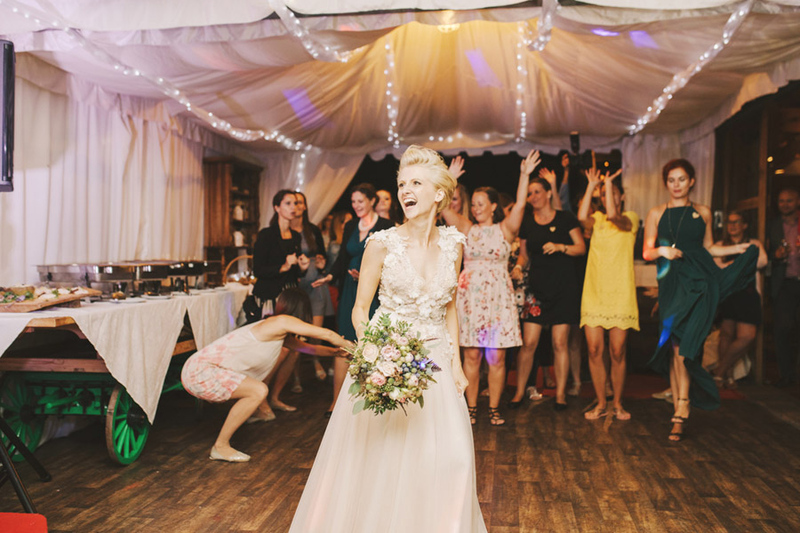 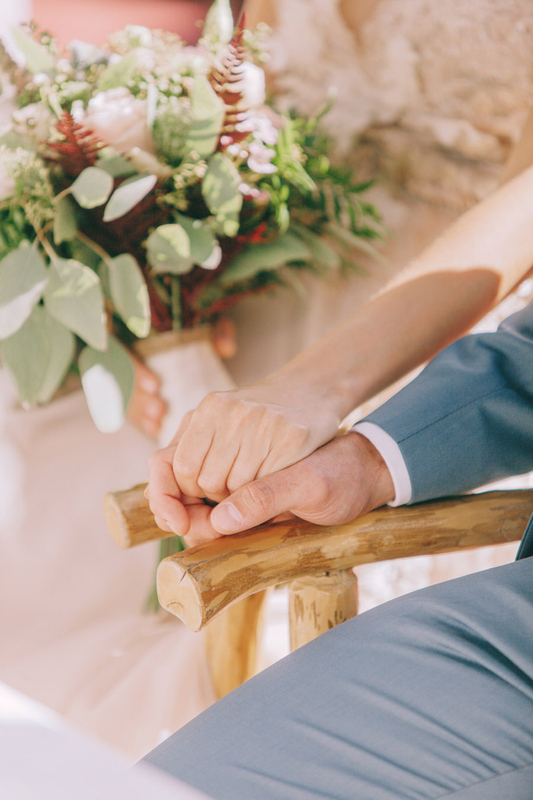 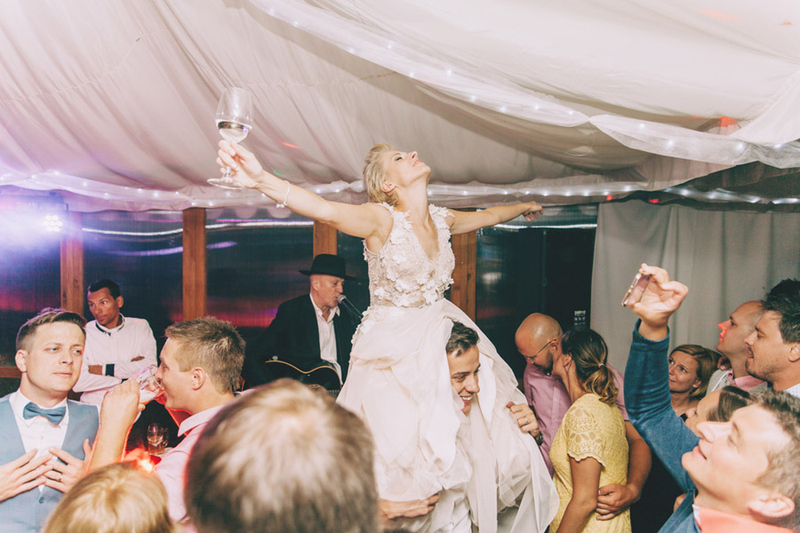 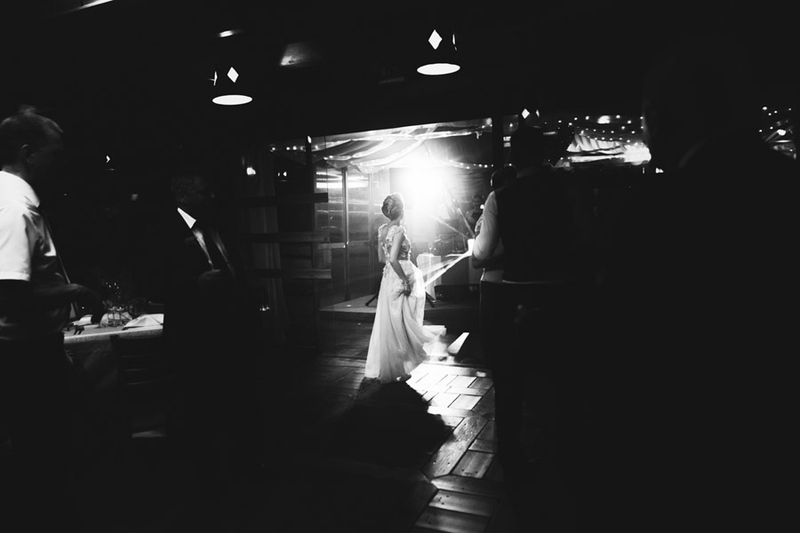 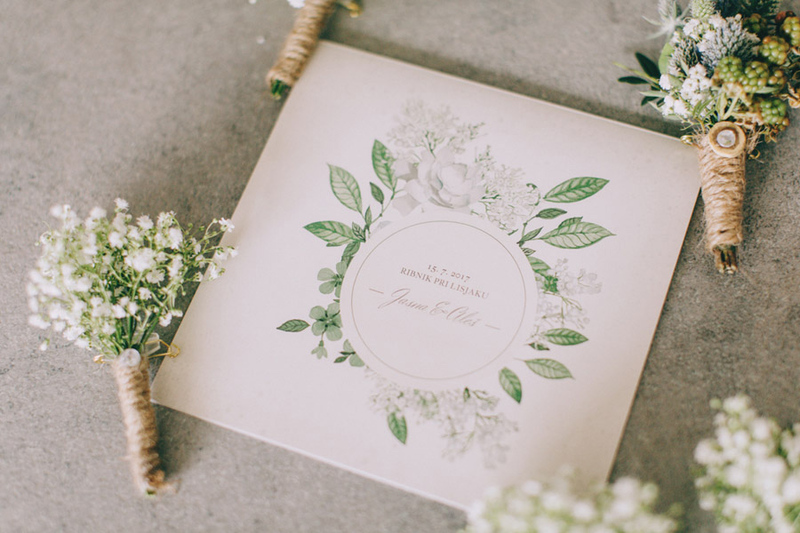 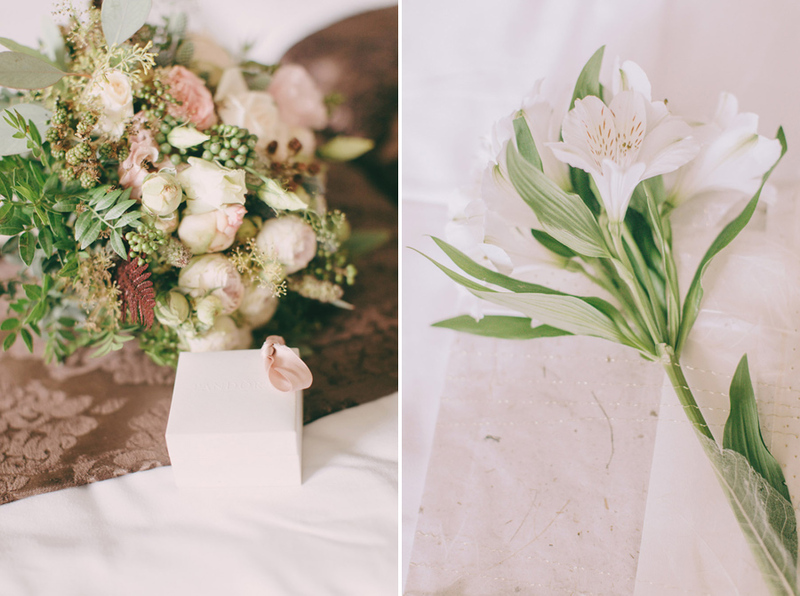 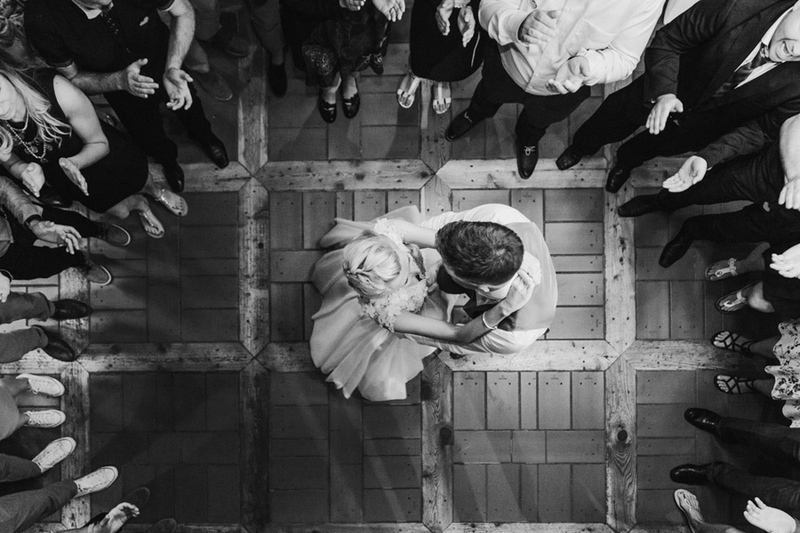 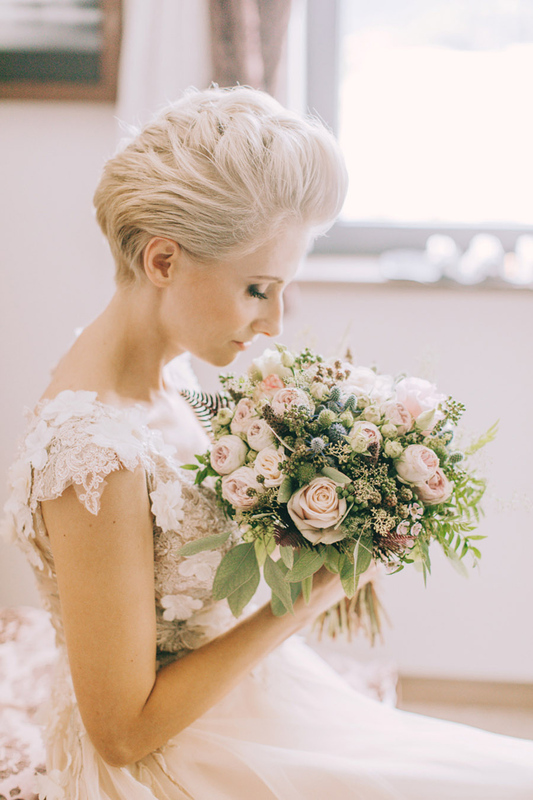 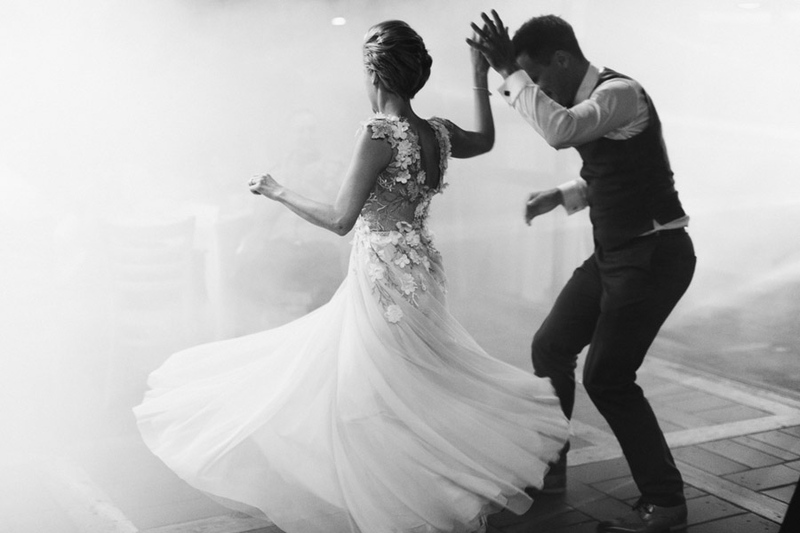 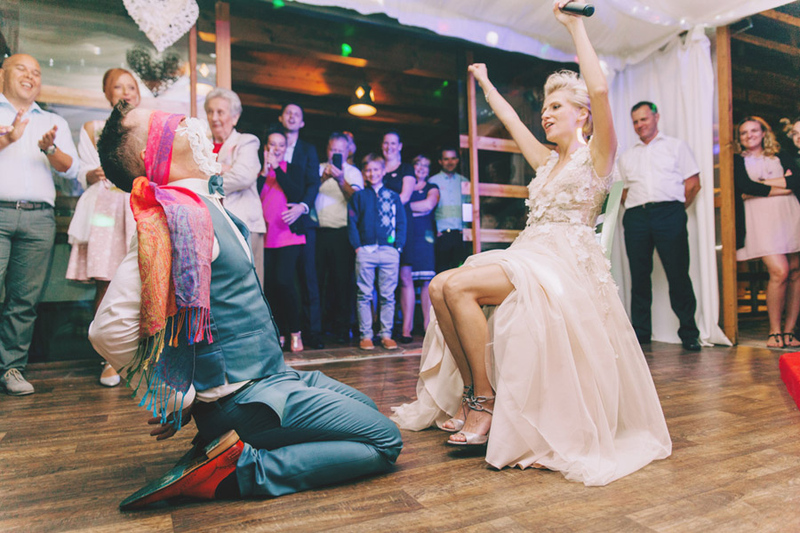 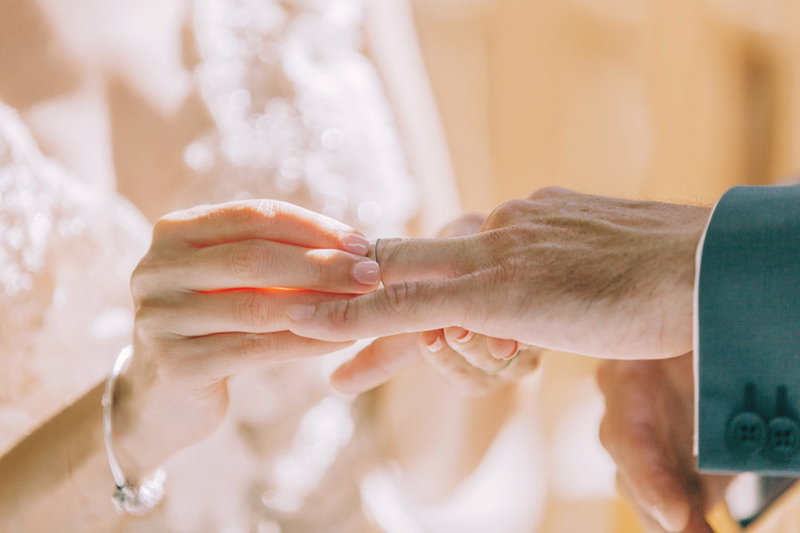 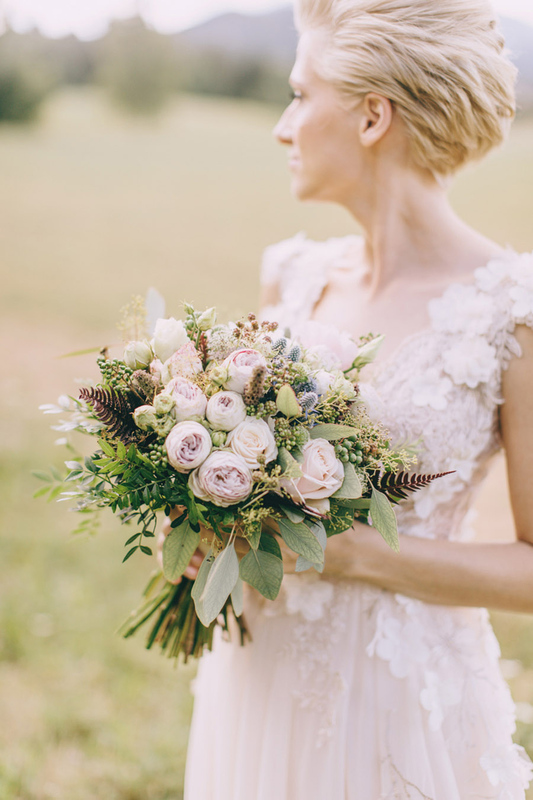 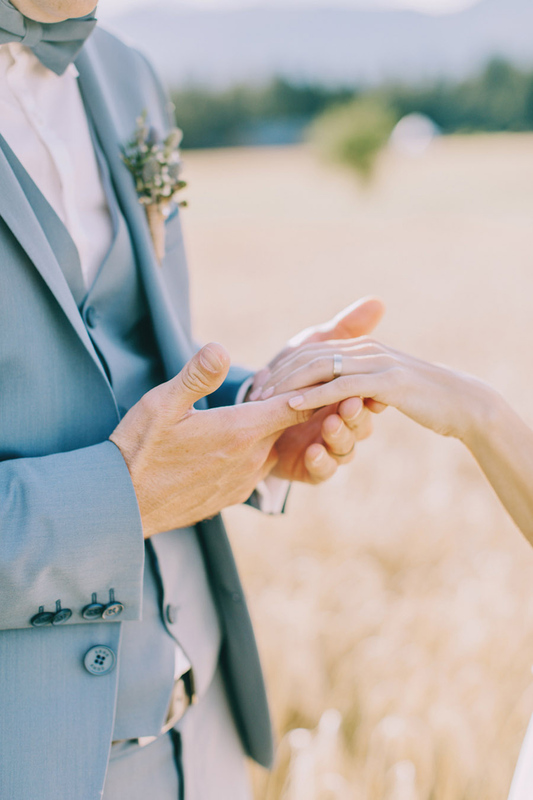 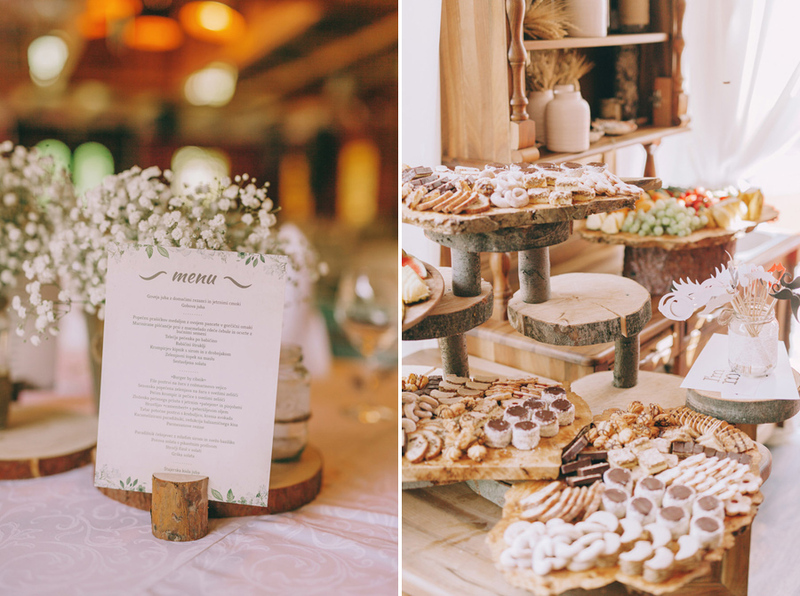 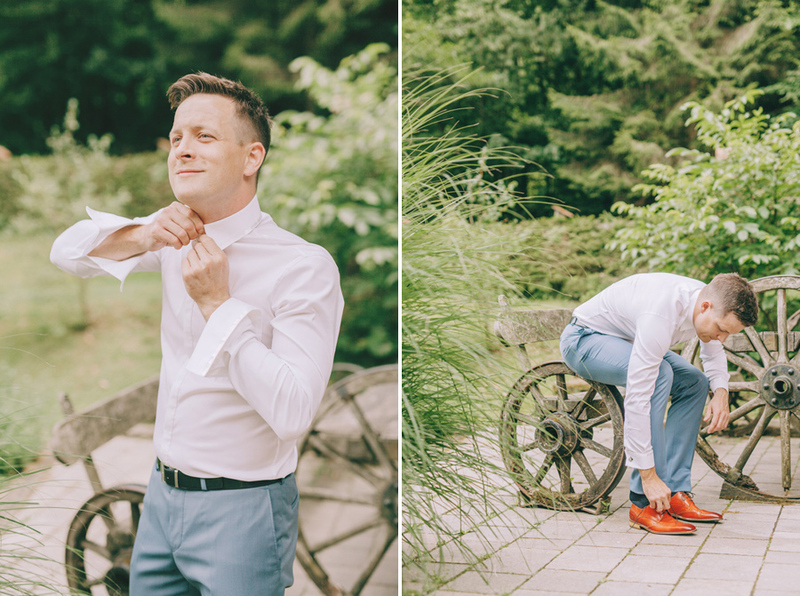 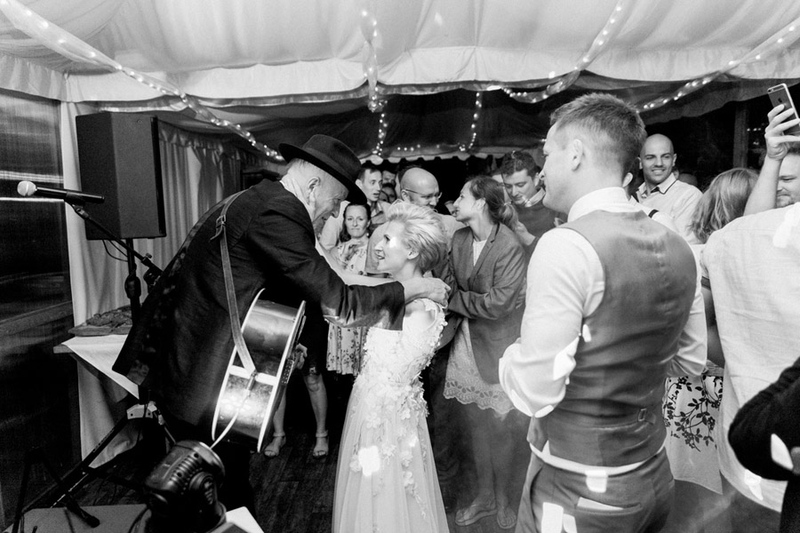 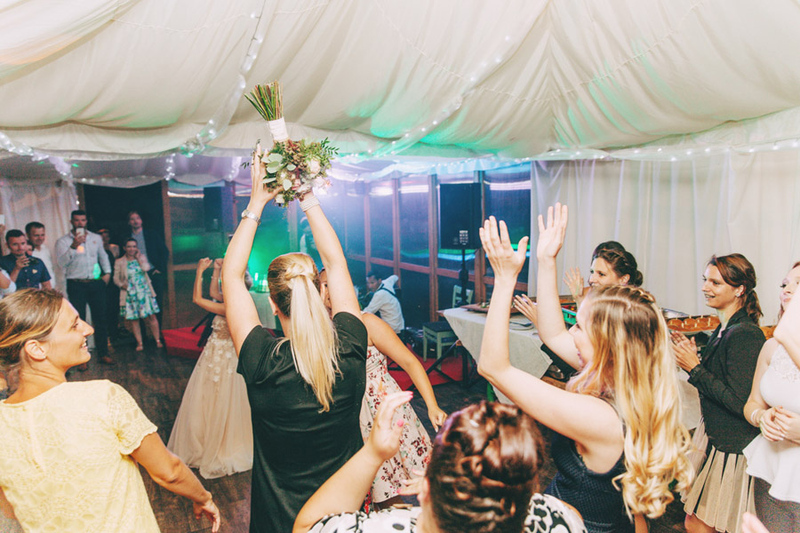 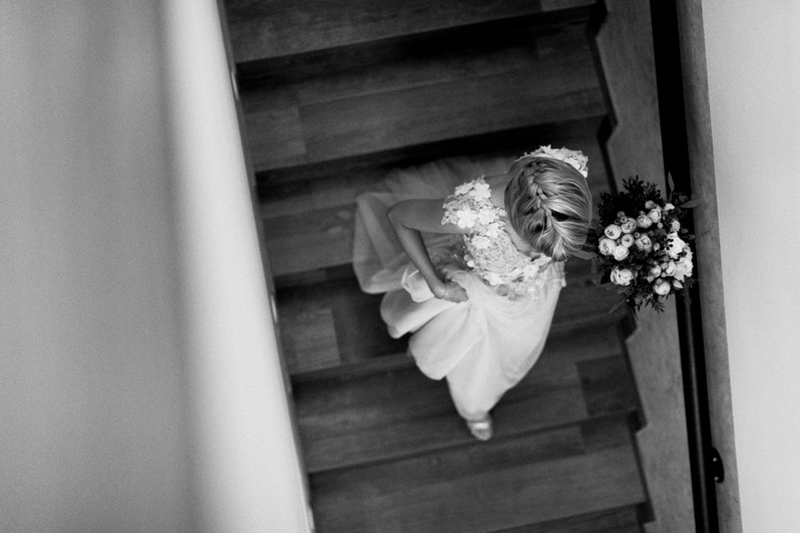 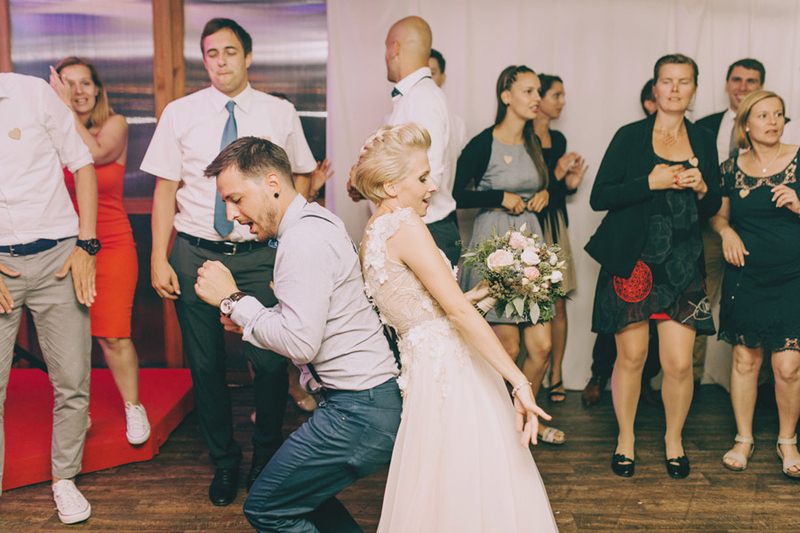 A wedding of Jasna and Aleš was without a doubt one of the prettiest weddings from this past year! 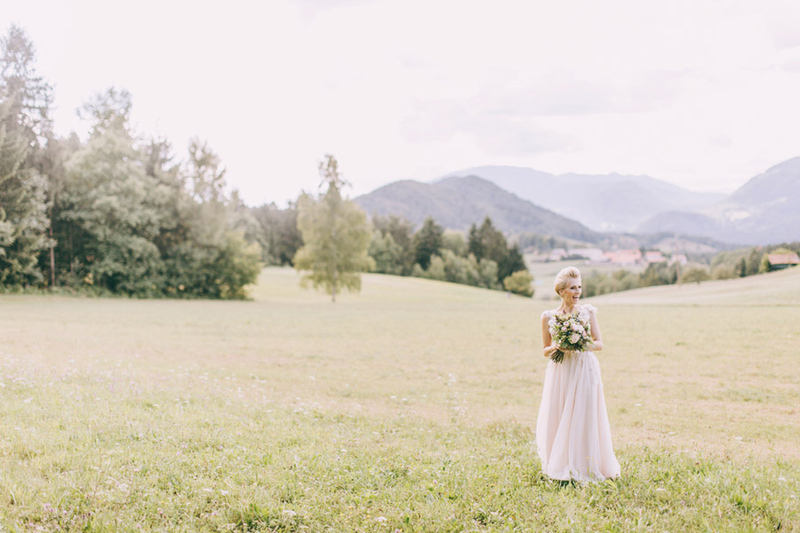 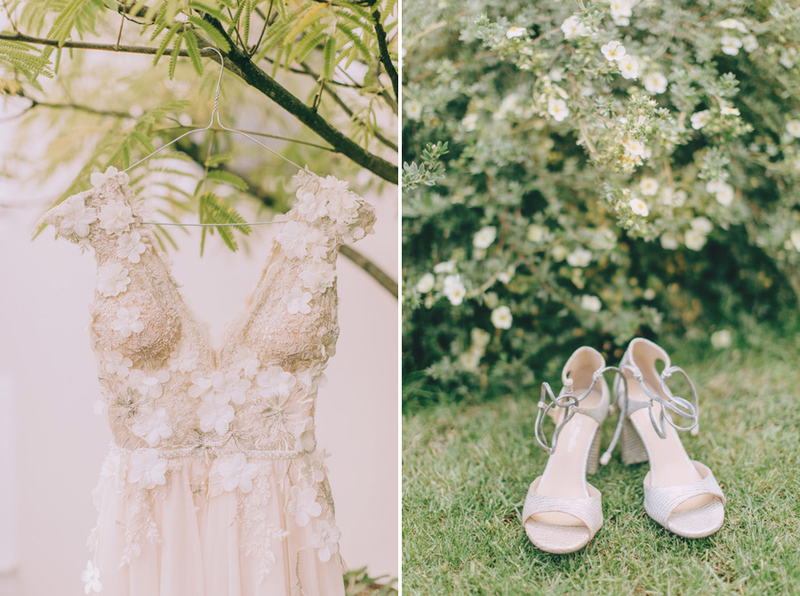 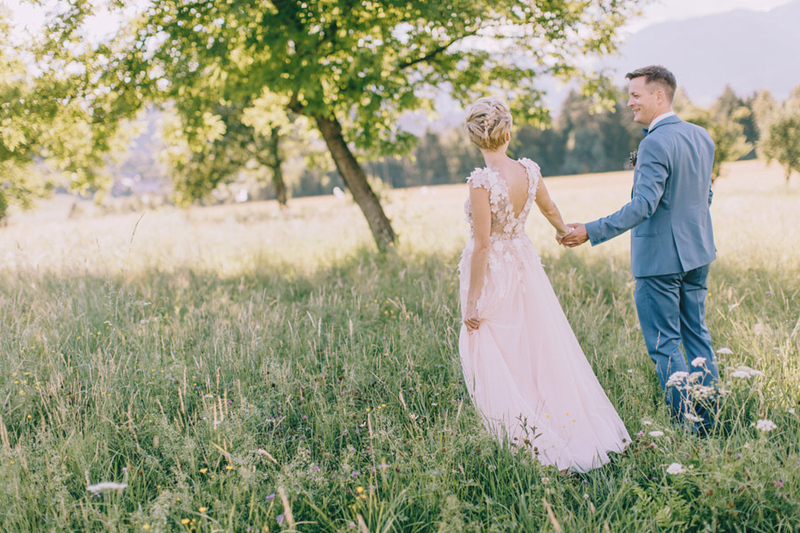 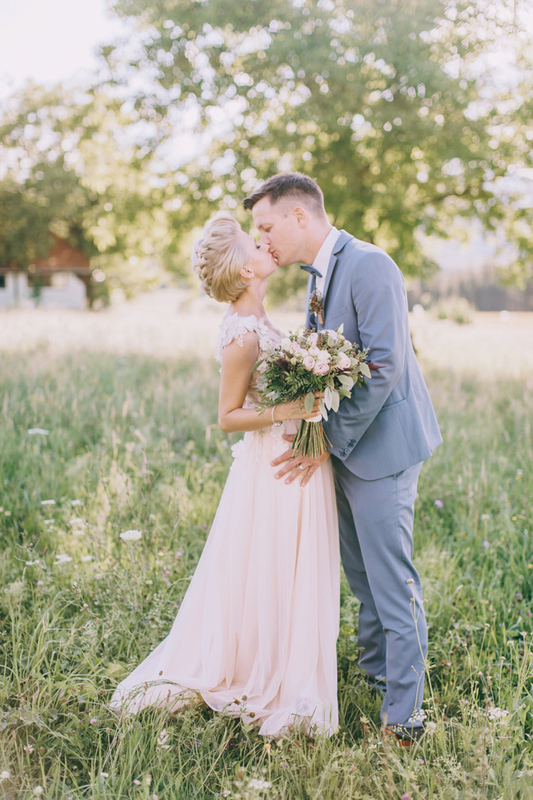 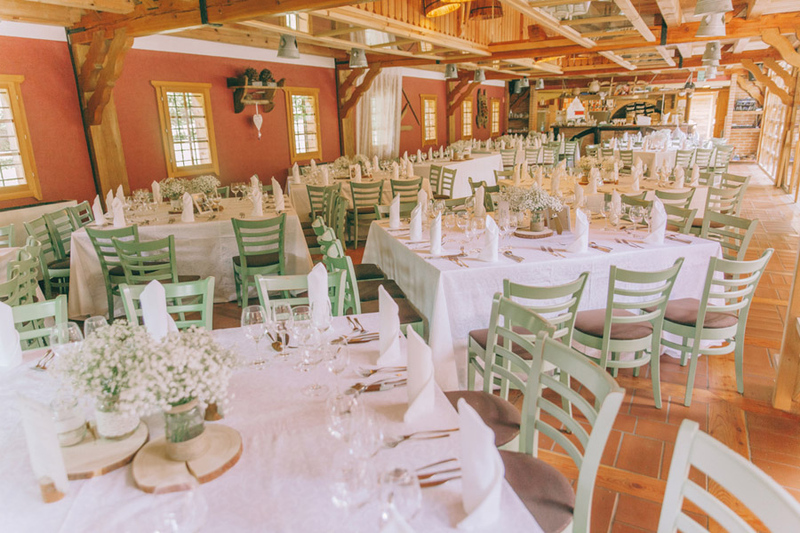 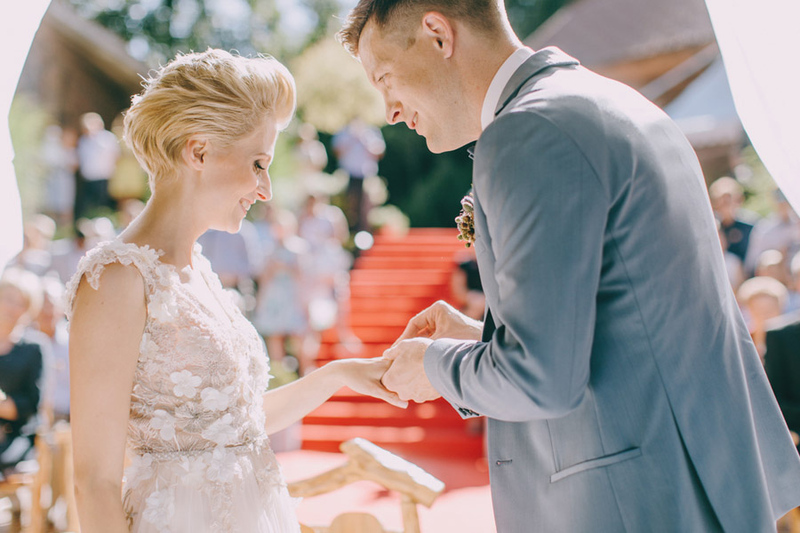 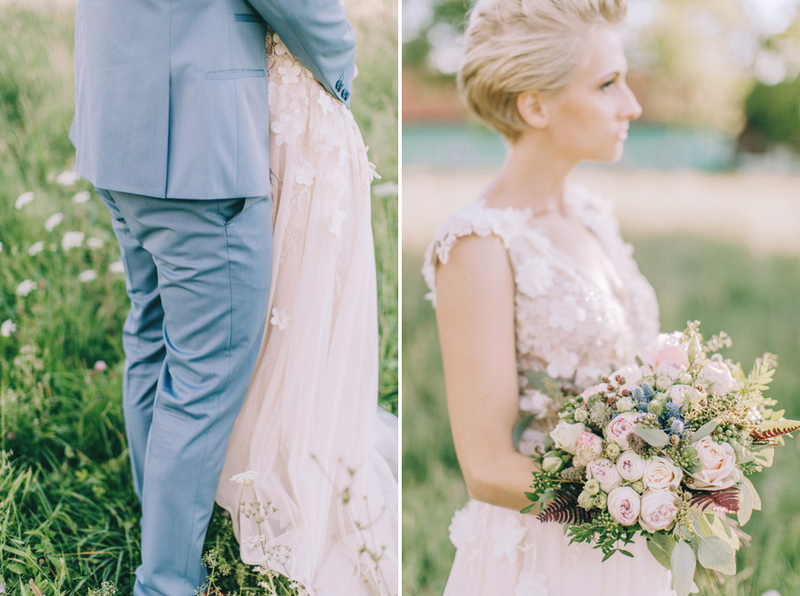 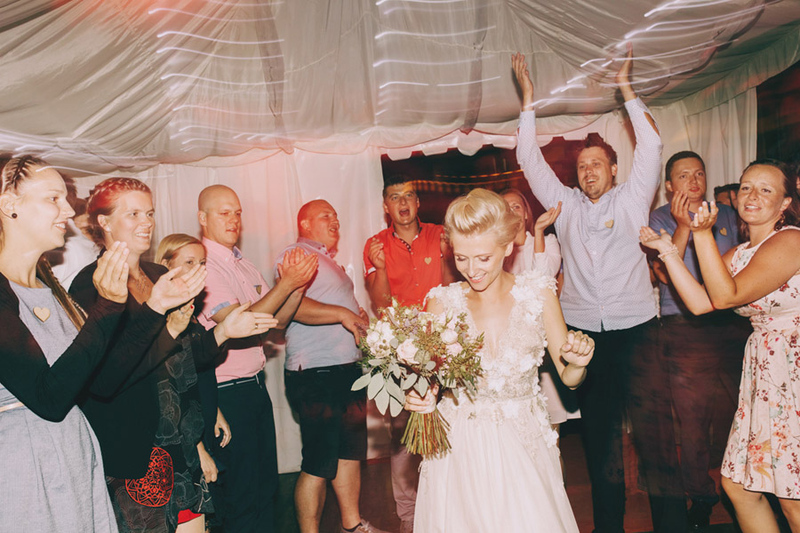 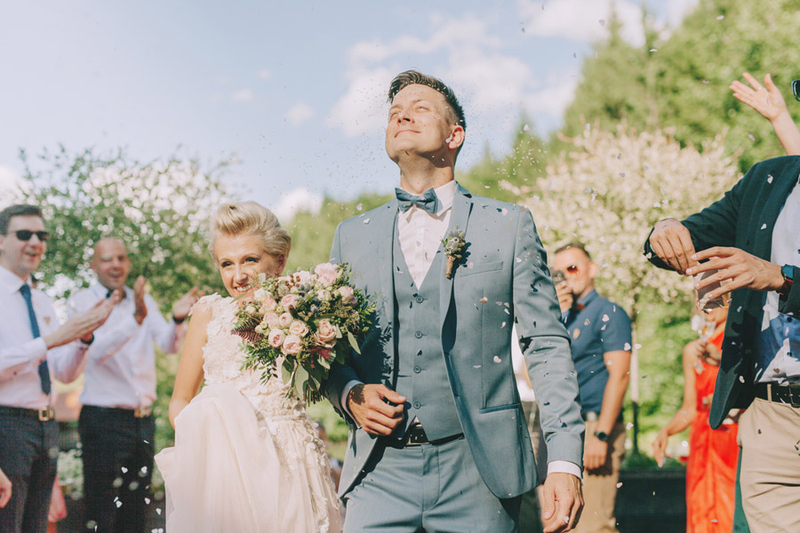 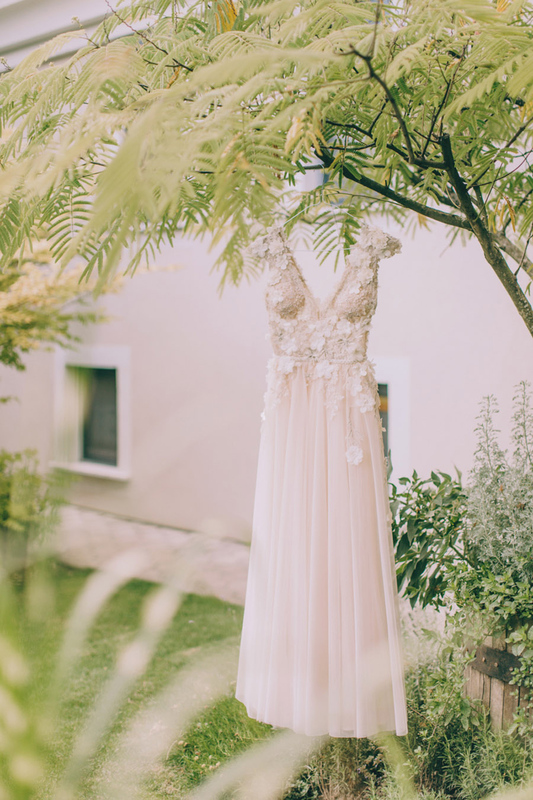 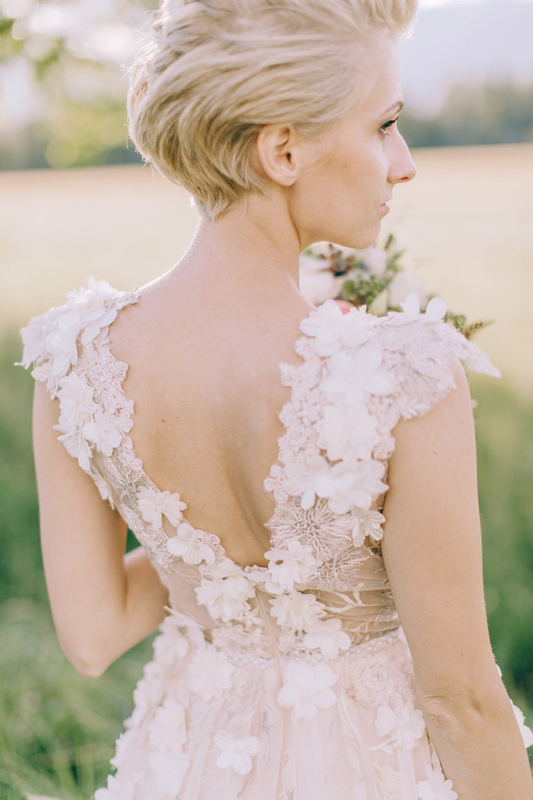 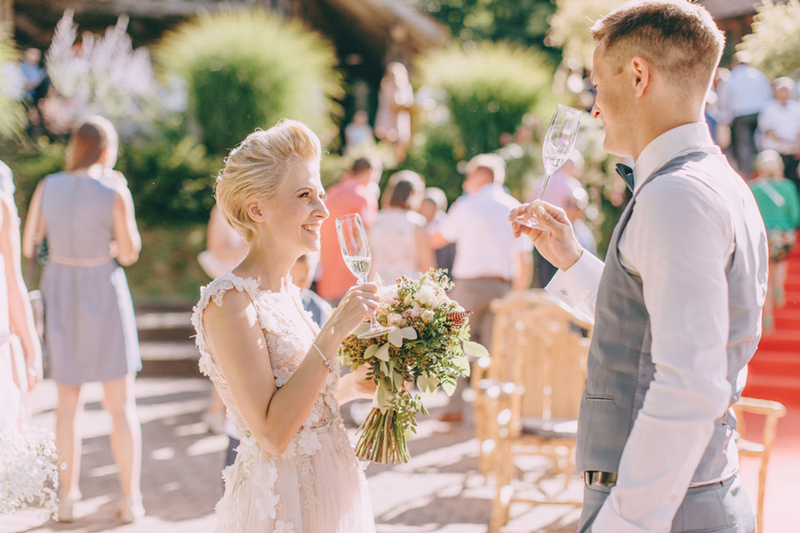 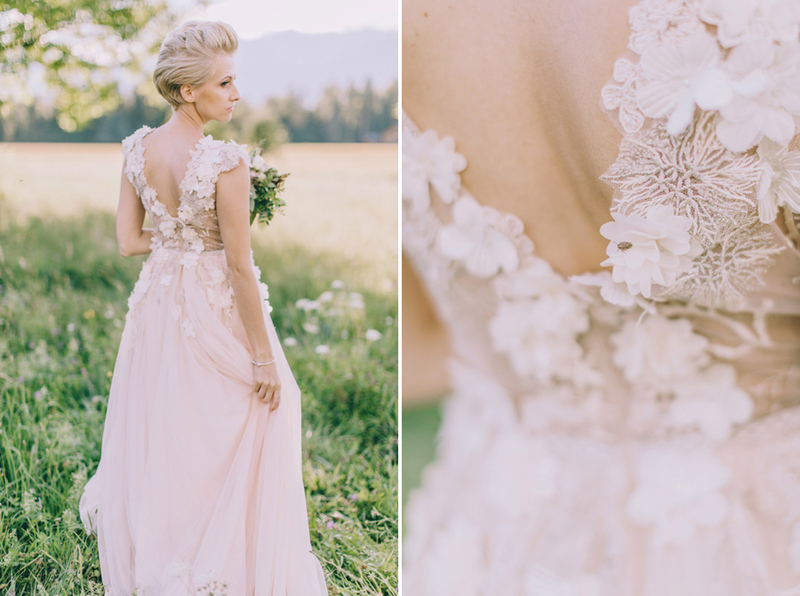 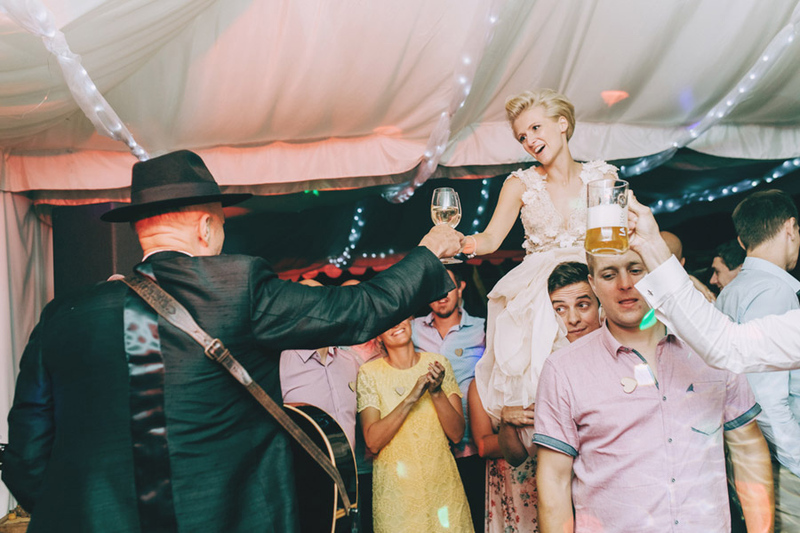 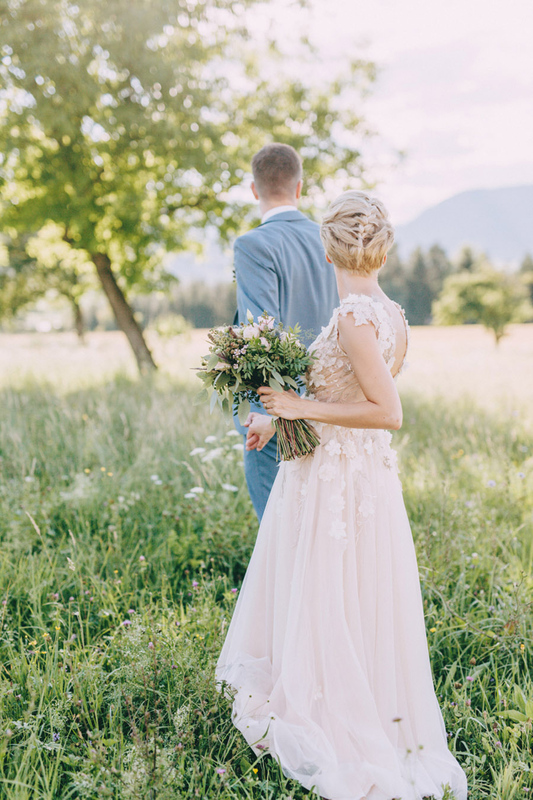 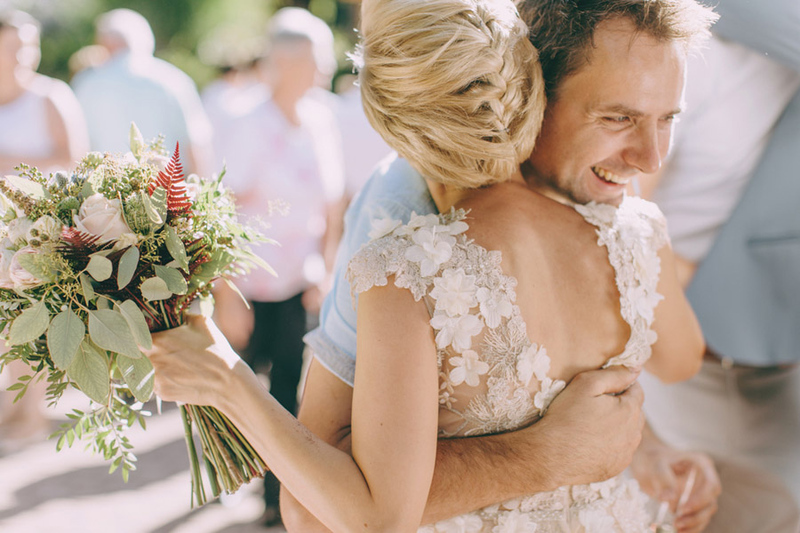 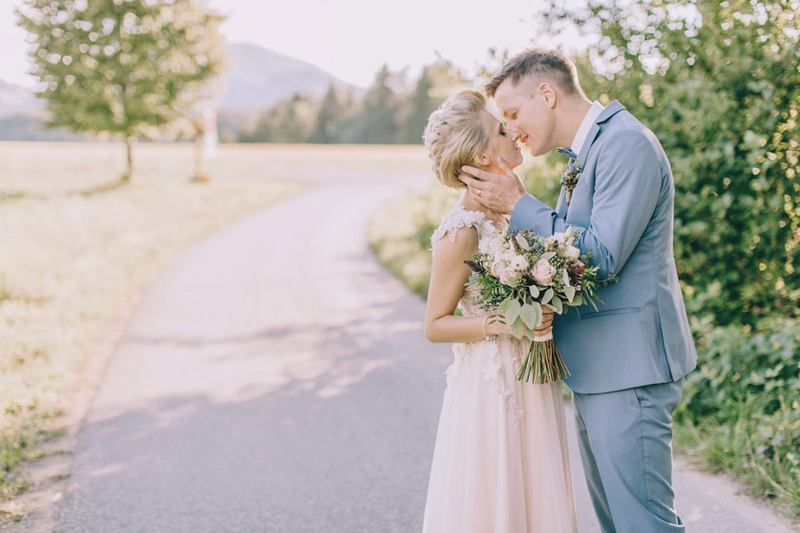 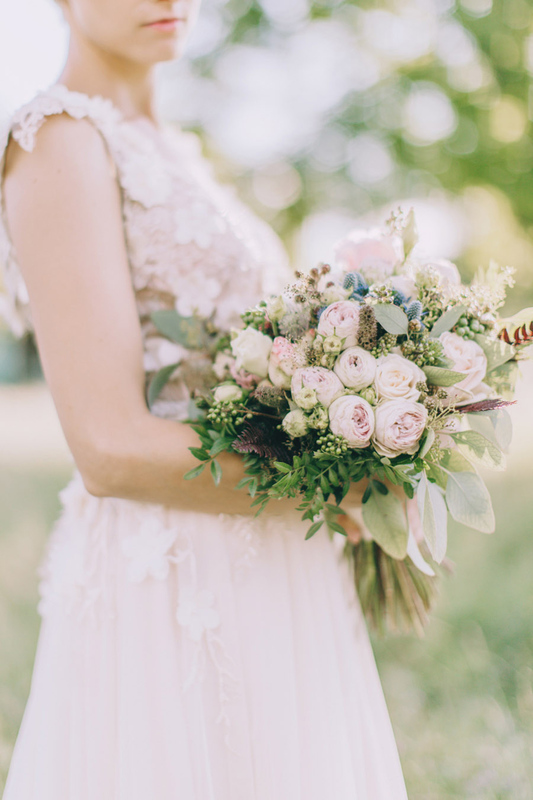 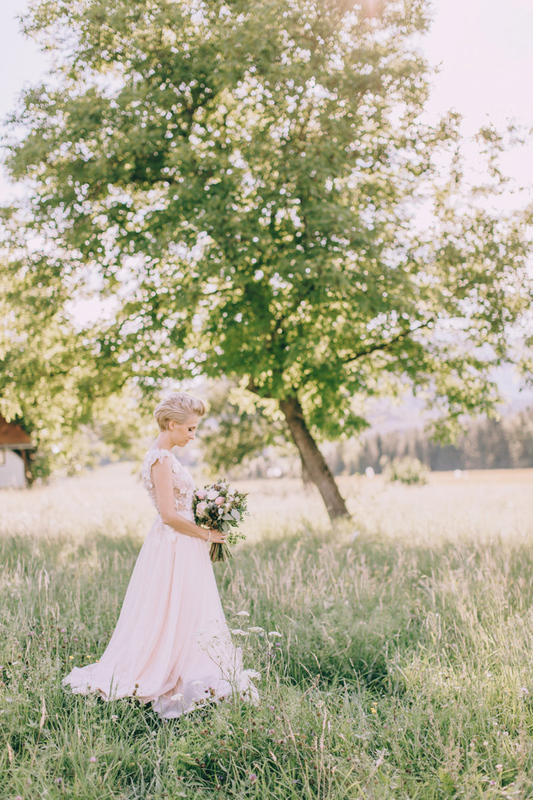 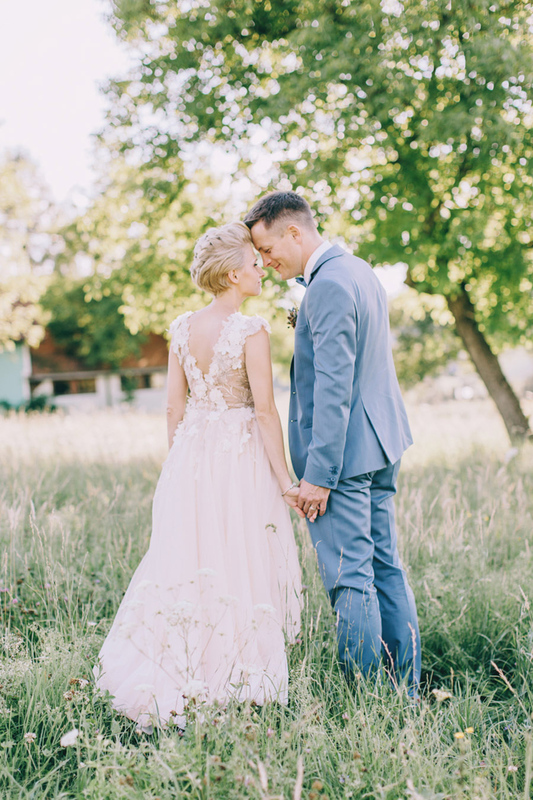 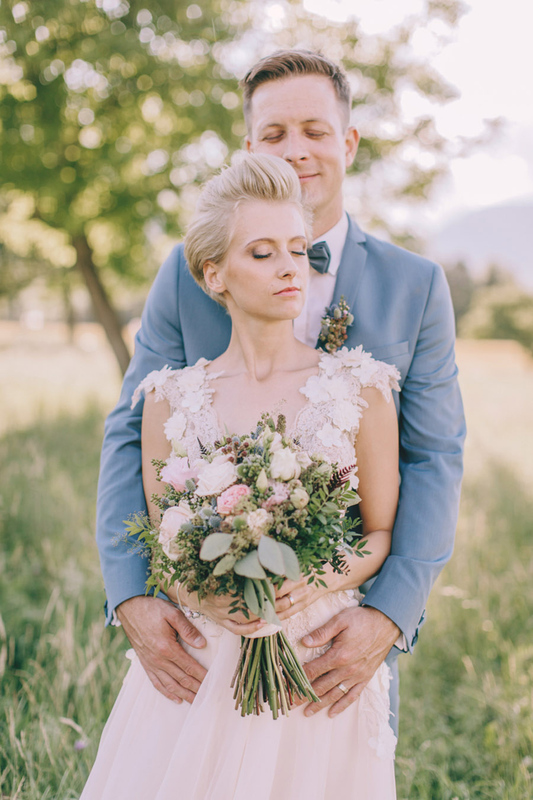 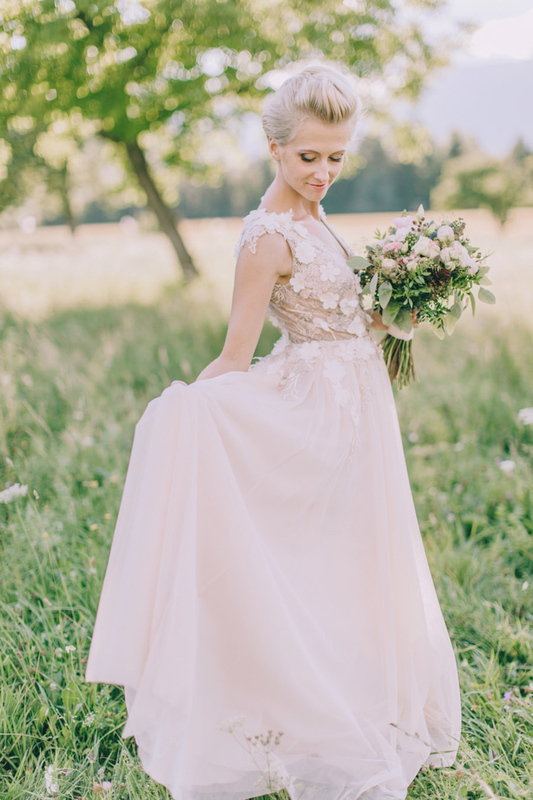 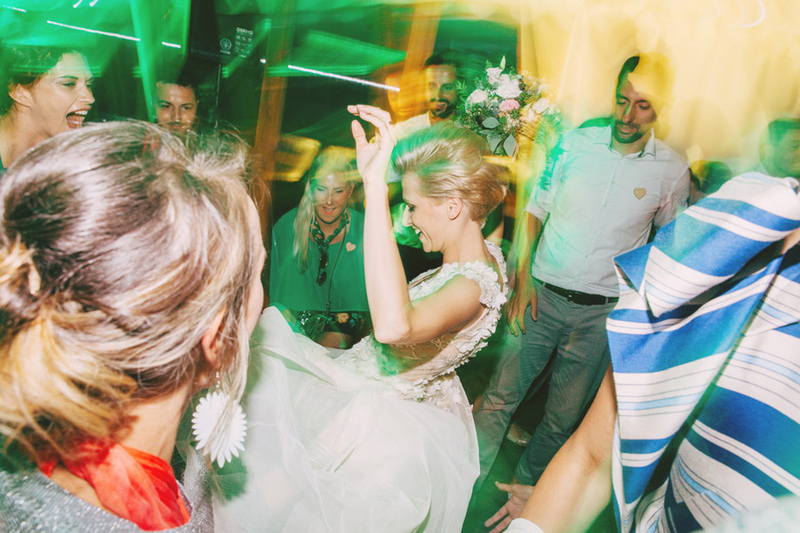 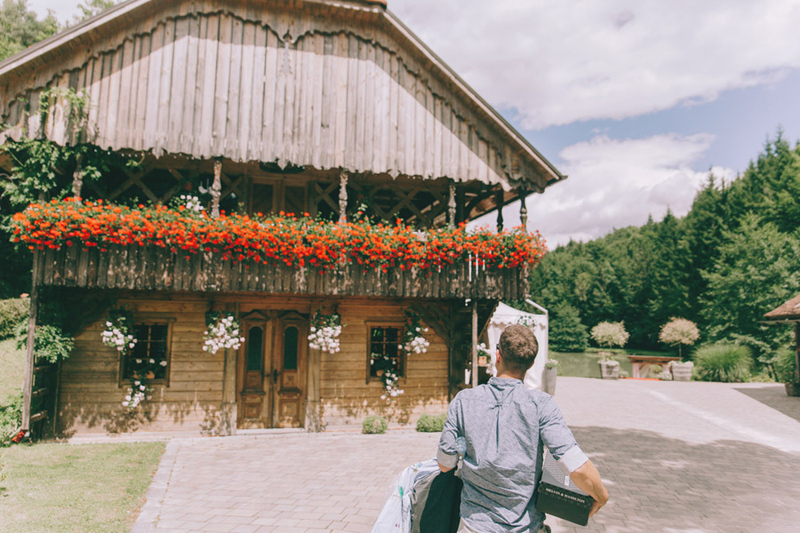 Preparations for this special, rustically decorated day, took place at Gostilna Grof in Vransko, where the bride finally got to wear into her unconventional, but gorgeous pastel pink wedding dress. 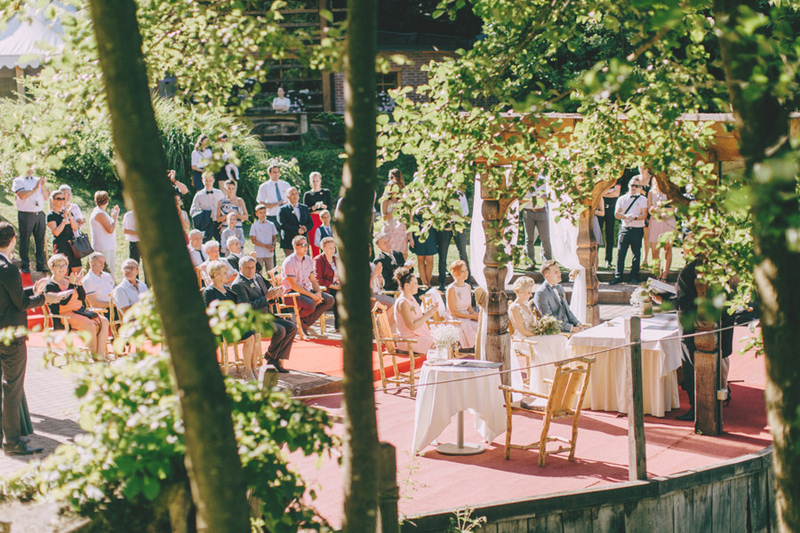 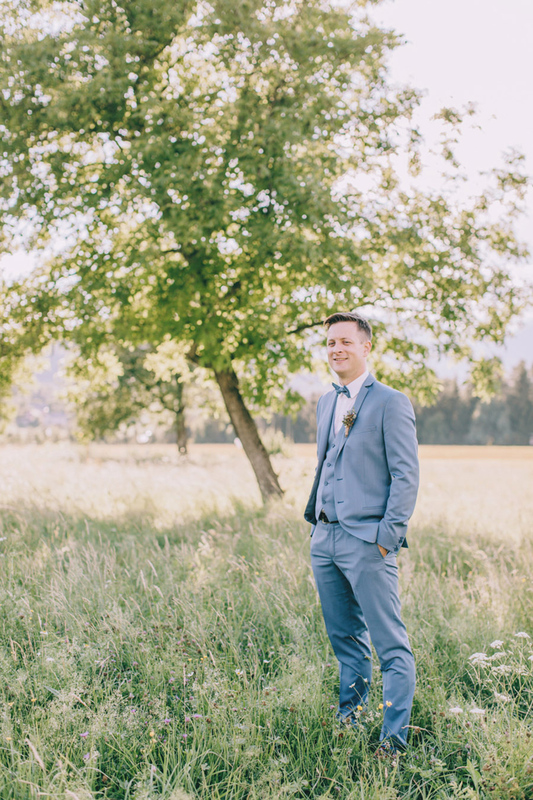 The location later moved to Ribnik pri Lisjaku, where we manage to catch some really magical photographs while surrounded by nature and beautiful evening light. 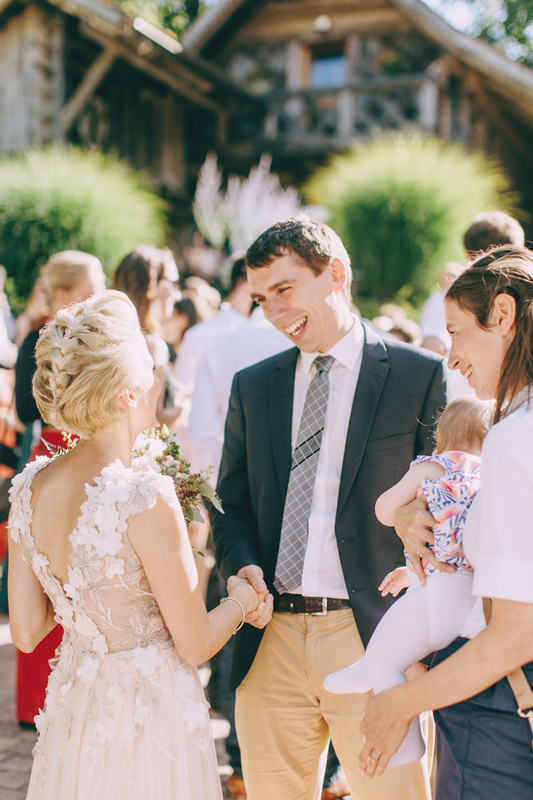 Jasna and Aleš radiated the most positive energy throughout the entire day, but an incredibly pleasant and relaxed atmosphere was constantly present among other people, too. 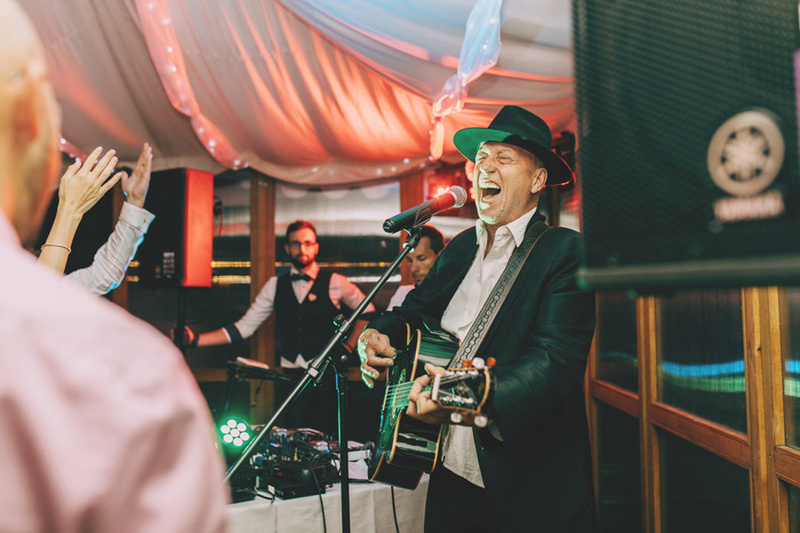 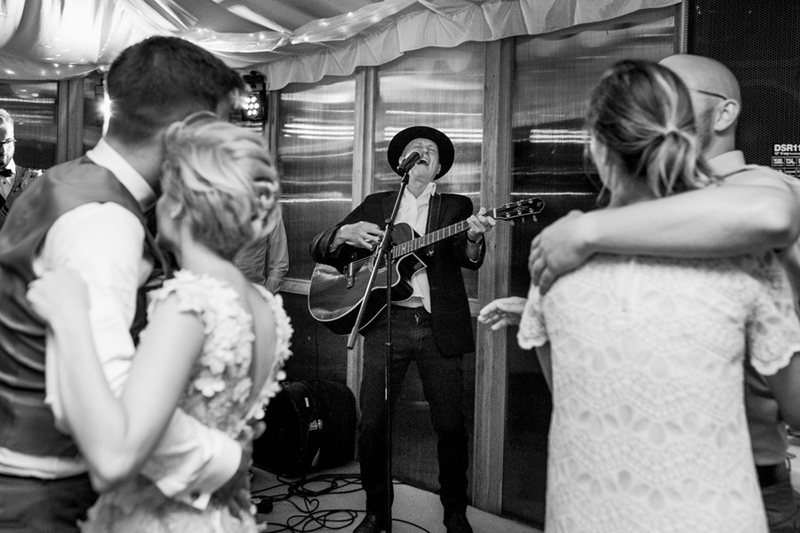 However, their good mood reached an absolute top at the evening party, when a surprise guest showed up to entertain them: the one and only, Vlado Kreslin!